From standard commercial litigation to complex strategic disputes with substantial amounts at stake, from national courts to international arbitration, Weil & Associés has successfully acquired a broad range of litigation skills. Transparency is key and there is no room for surprises. We therefore believe that it is important that you are confident you are in good hands by keeping you spontaneously updated from start to finish at every step of the trial. We will start by reviewing any case in detail and provide advice on the most cost effective strategy to pursue, based on our experienced assessment of the solidity of the case. This will often include very specific information about the court that may have jurisdiction over the case and the way this impacts on our strategy. Our experience enables us to provide a fairly precise assessment of the pros and cons to litigate a matter. 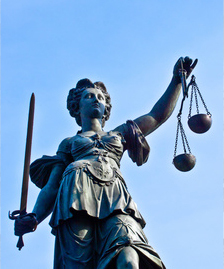 Having represented clients in trials since 1974, our litigators have a strong litigation and arbitration experience. They have a long-standing and sound knowledge of the formal subtleties that sometimes allow defending a case without even addressing the merits before court. We know how a matter should be presented to the courts or an arbitration tribunal and our expertise as litigation lawyers is recognized by these authorities. In some specific matters, we also know how to handle the media to use this important communication aspect as part of the overall strategy. Last but not least, we always bear in mind at any stage of the proceedings that our clients are not in the business of doing litigation and that litigation is always a substantial source of distraction. We therefore always consider our settlement options along the way.